While the fashion industry is inextricably obsessed with trends (because nothing sells better than crowd-pleasing newness), here at The Rake we take a more timeless approach, preferring to focus on the tenets of sophisticated dressing, rather than the whims of marketers. That said, we're not blind to the shifting patterns of menswear, for occasionally things come along that genuinely become set in stone (take the unanimously adopted cropped trouser length over the last decade). In the more sartorial of circles, one trend that has stuck its neck out recently is the wholesale adoption of bandanas worn as neckerchiefs. 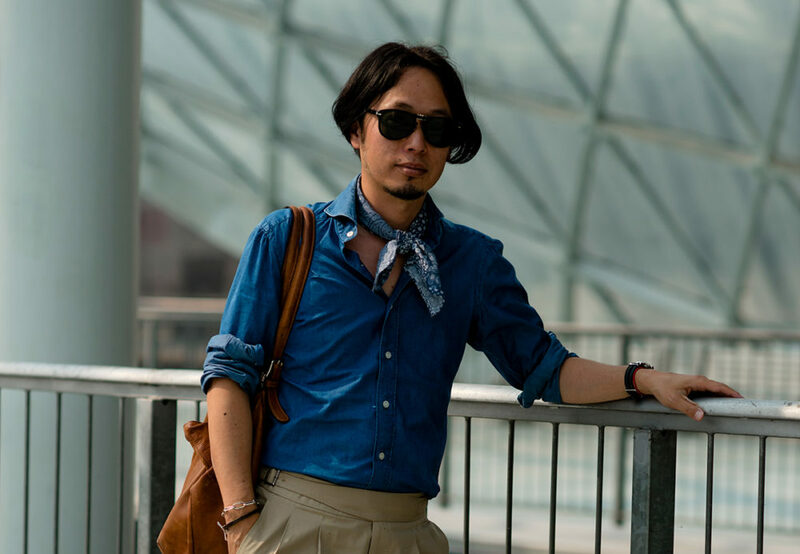 Ubiquitous last summer, the bandana's march continued unabated throughout this winter season as longer silk styles rubbernecked with tightly rolled cotton variants, almost always sat neatly and subtly within the jurisdiction of a shirt collar. 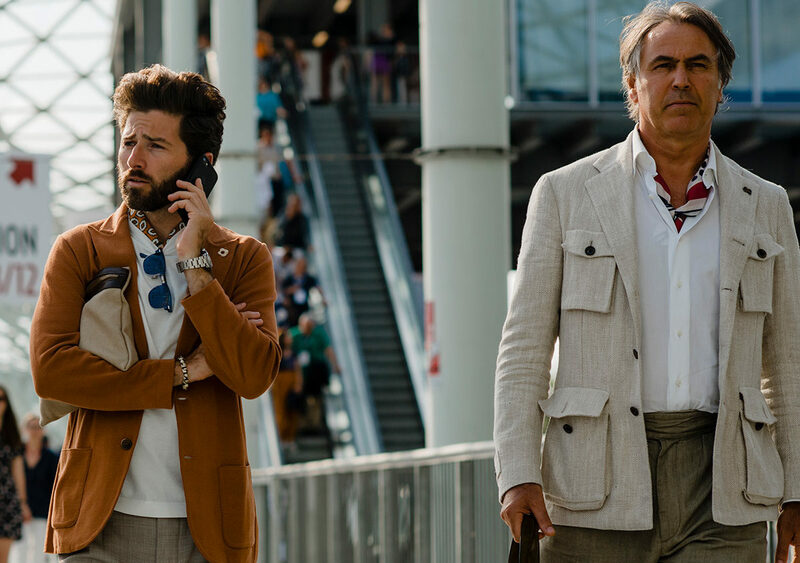 It's hard to deny that there’s something debonair about a neckerchief but the best proponents of the look made it appear like a very natural extension of their clothing. Typically they used the bandana like any other accessory - to either bring a look together by marrying colours together or to proffer a smack of contrasting colour and pattern to draw more attention to the neck and face. When it comes to tying the bandana, diversity reigns and how you do so will largely be determined by the length and type of fabric. Silk bandanas will, for example, produce a much smaller knot than cotton styles and thus might benefit from a looser tie (they will certainly need the ends tucked into your shirt to prevent them blowing about in your face). A cotton style bandana will have a heavier knot and won’t move around as much. A good tip is to lay out the bandana out flat and fold one corner to the opposite corner to make a triangle. Then start rolling diagonally from the unfolded ends (this ensures they are tucked in and don’t unravel around your neck). Whether it's a bracing January day in London, or a furiously humid day in Milan, the neckerchief serves a dual purpose whatever the weather. Now you could just tie any old cotton bandana around your neck and, provided you've coordinated it with your outfit, look good in the process. But why not go the extra mile? Those 1760 yards will take you directly to Kapital, the Japanese brand specialising in contemporary Americana.One hopes it was not merely a coincidence when Mr. Toshikiyo chose 1984 as the year to launch his unconventional Japanese brand. George Orwell’s dystopian novel of the same name is about the type of uniformity and lack of expression that drove Toshikiyo-san to start the brand in the first place; describing the dull lives of the citizens of Air Strip One, where left-field thinking is ill-advised, and all citizens are made to wear the same monotonous grey outfits. Frustrated at working for a company who only made copies of American jeans (but to be fair, the Japanese do Americana better than the Americans themselves), Toshikiyo-san decided he, too, was having none of it. And so, it was in 1984, in an act of artistic rebellion, he left to build his own brand – one firmly rooted in Japanese craftsmanship, while looking both at home - and around the globe - for creative inspiration. Today, Kapital is run by a father-and-son team. Having started exclusively on superior denim, the designs, frescos or collages of whatever takes the brand’s fancy, are now coveted as accessories. It is testament to the brand’s inventiveness that its products can be worn by Shinjuku hipsters and Rakes alike. With an eclectic approach to art and history, there is something for everyone; channelling the modern tastes of Creative Director Kiro Hirata, on hand-dyed Japanese fabrics. Their 100% cotton bandanas have become something of a cult item as of late, tied dashingly around the neck, or stuffed into the front pocket of a favourite blazer. As you may have noticed, The Rake has recently got its hands on some of Kapital's latest designs to give your outfit a whimsical edge, or subtle pieces that complement your favourite bespoke suit.